Jeweled Tiles features fabrics from the Essence collection by Northcott. 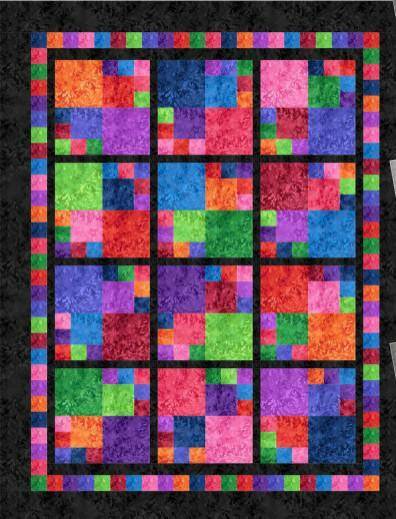 The kit includes the pattern and all the fabric for your quilt top and binding. The finished quilt measures 52" x 66".